The A-League is upon us once again for season 2018/19, every club entering the season with renewed hope and vigour. 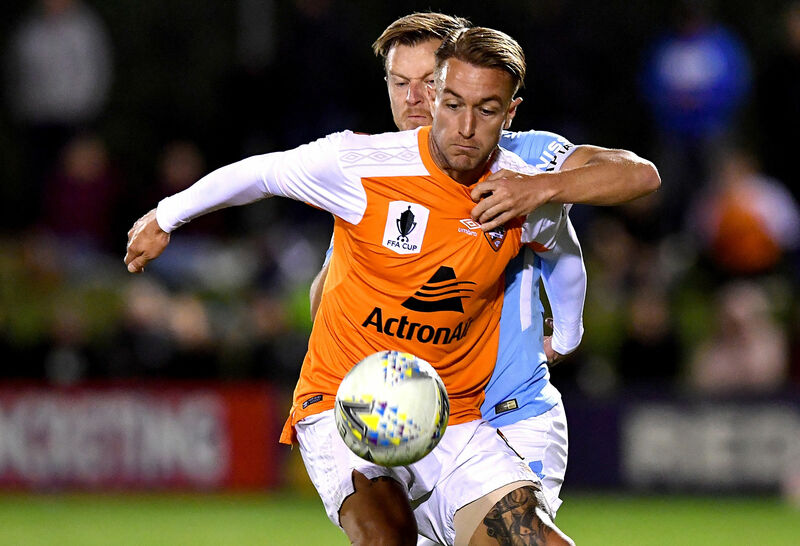 Five games have come and gone, all with their varying level of interest and talking points – so let’s kick the season off with the Round 1 A-League talking points. While it pains me to say it, unfortunately, the starting presumption for any conversation that involves the A-League, is that it is a joke. Yes, that statement for all intents and purposes seems offensive and disrespectful to players, coaches, administrators, volunteers, and board members bestowed with running the game, but the reality is that the A-League is assumed and held to be, by the vast majority, a pretty poor excuse for a competition. Now, I’m not even factoring in poor ratings (remember, the E-League has been known to out-rate the real-life A-League version on television), poor attendances, little-to-no star power, Star Wars themed rounds, and the Usain Bolt trial. That’s enough content there to question the quality and viability of a 10-team competition with a top-6 finals format. But to the general observer, or hard-core European leagues fanatic, the A-League offers little of quality, and is simply laughable. So with that in mind, it is so absolutely critical to the league that the running of the game and officialdom are not only beyond reproach, but are barely mentioned. And another thing to bear in mind is that this season is kicking off on the back of last season’s showpiece grand final being decided in extraordinarily controversial circumstances when the failure of the VAR allowed the winning goal to be decided without consideration given to seemingly conclusive evidence that may have overturned that winning goal. With a fresh season barely a game old, the last thing, the absolute last thing, that this humble little domestic league needed was even more attention placed on the farcically shambolic institution that is the Video Assistant Referee. Yet here we are, thanks to an occurrence so comical that the headline “A-League Shoots Itself in the Foot Again, Continues to Rely Upon the VAR” is entirely appropriate, yet feels like one that only the Beetoota Advocate could think up. The problems with the VAR are two-fold, and to this there can be no argument. Firstly, the VAR is a failure. No, don’t point out where it does and does not work, that is irrelevant. The VAR was introduced to eliminate the glaringly obvious referee-error. The ‘howler,’ as it were. On that basis alone, the VAR is a failure, because rather than removing the glaring error, it is now actively and wholeheartedly creating glaring errors, far worse than any mistakes initially taking place to lead the calls for introducing technology. Whatever your thoughts are about Krishna’s penalty, or Taggart’s disallowed goal, the clear and definitive proof of the failure by the VAR is the awarding of the penalty in the Melbourne derby. 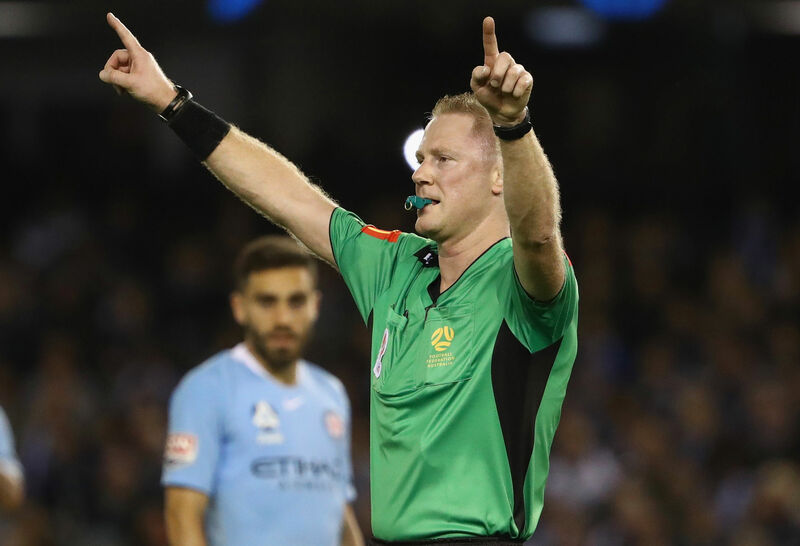 No, the Bruno Fornaroli incident was neither a foul, nor a penalty, and that the introduction of the poisonous tool that is video replay facilitated the intervention to put Fornaroli on the spot, is an indictment the likes of which is in fact only partially encapsulated by Mark Bosnich’s rant on Fox Sports on Saturday night. And the second problem with the VAR is that it has given licence and substance to the incorrect position taken by people who would have you think that instances like those involving Fornaroli on Saturday night would ever be a penalty. The VAR was about removing glaring error (which it has never done), and instead, now creates instances where at any angle, in any moment now, you can re-interpret the play to suit your needs. The reality of the play no longer matters, and from an existential perspective, that is actually a frightening proposition. If the play as it happens no longer matters, and is only determined upon repeat after repeat, then the determination leading to the outcome will always be subjective. Without any objective standpoint in decision-making, there will never, ever, be consistency. So, ultimately, the VAR by its nature can only create confusion. It is entirely incapable of bringing clarity. If the VAR was introduced to bring clarity to not only the outcome, but the decision making process, then the number of confused, angry, and disheartened fans, the number of players and coaches from the weekend shaking their heads or with hands on those heads, will tell you only one thing: the VAR is now much more than a failure, it is a blight and a poison within the league. And for those on the outside looking in, oh boy, aren’t they laughing. The loss of Bobo, Adrian Mierzejewski, and to a lesser extent, Jordy Buijs, left some massive gaps, mainly attacking, for Sydney FC to fill in. Where were all the goals going to come from? With an ageing Alex Brosque still up front, and only so much the creative starlet of Milos Ninkovic can deliver, the loss of 20+ goals from Bobo’s foot looked like the beginning of the end for the sky blue dynasty. But the arrival of the French-sounding Englishman Adam le Fondre (full name “Glenville Adam James le Fondre”) may more than adequately fill that substantial gap left by Sydney’s former Brazilian. Le Fondre had a relatively quiet game other than his goal. Just the one shot on target, two in total. 16 pass attempts, only 11 of those finding their targets. You compare that to Josh Brillante, who attempted 72 passes, and landed 64 of them. But the thing about strikers is that they aren’t judged by stats other than the scoreline. Le Fondre, while limited in his chances, it turns out, didn’t need that many of them. One shot on target, one goal, 100% strike-rate, not a bad output. With that type of clinical precision, if he can maintain it, Sydney shouldn’t have too much to worry about on the scoring front, and once again, may have managed to unearth another star striker. Let’s be clear: Keisuke Honda is way too good to be playing in the A-League. Of course, on Saturday, he wasn’t alone in that regard. Bruno Fornaroli is a player I often wonder how he wound up here, and this is his fourth season. But Honda is a cut above again. With 81 games for AC Milan and nine goals to his name, there were times in the Melbourne Derby where he looked like he was simply walking through the match, so in control and composed did he appear compared to the other 21 players on the park. His goal was of that perfectly timed and entirely clinical nature that when a player on his wage produces that finish in such a big game, you immediately think: he is worth every cent. 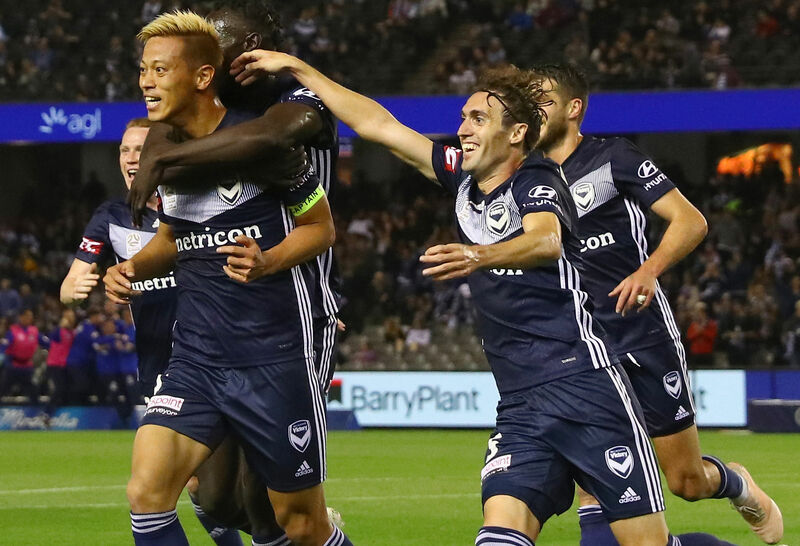 The importance of Honda to Melbourne Victory cannot be overstated. The loss of Besart Berisha, an ageing warrior or not, was a big focal point to lose and even bigger personality to replace. In Honda, it is more than a case of mission accomplished. Honda was everywhere on Saturday, and the focal point of the majority of Melbourne’s good attacking play (and then at times, he was not afraid to get involved in the dirty defensive stuff). That Honda was played out of position to accommodate James Troisi in the number 10 role was almost hilarious. But nothing seemed to phase the Japanese star, with a best on ground performance for mine. He will bring so much added value to the league, and judging by the number of Japanese fans in attendance as shown at every instance by the Fox Sports cameras, even better exposure. Kudos Melbourne Victory, you’ve done good. In preparation for the new season, I took an opportunity to review my final talking points for season 2017/18, after Round 27. “In the ruins of Wellington’s season is a team. “Now, whether it’s a good team, a competitive team, even a bad team, none of us can really know. “Nothing has gone right for the Nix of late, whether that be coaches leaving, players leaving, players out of form, or simply Nathan Burns’ cursed form in front of goal. Now, of course you can’t read too much into a Round 1 result (unless you’re a Newcastle Jets fan like myself, and lamenting that our season is already over). But what I said at the end of last season remains true. In Wellington, there is indeed a team, and based upon round 1, there is indeed the potential for a good team. Mark Rudan may be the man to mix the Nix ingredients together into the finished product, and notwithstanding that they relied on an own goal and a penalty rebound (it would be unfair to mention VAR as benefitting them, given Wellington had a goal taken away by the VAR) the team played well, and they managed to win. Who knows, a little bit more luck going the Phoenix’s way, and a return to the finals this season may very well be on the cards. What John Aloisi would give to have John Aloisi in his squad. To have that assured predatory presence up front with a relatively bankable likelihood of goals is something that Australia too often took for granted when we were graced with the likes of Mark Viduka, Harry Kewell, Aloisi, Tim Cahill and Josh Kennedy to choose from. In Adam Taggart, Aloisi has made a shrewd and astute acquisition. Unfortunately for Aloisi and Brisbane though, the journeyman one-time Socceroo striker Taggart just didn’t have the type of big scoring home debut he would have loved, but he did nonetheless manage to get on the scoresheet. Brisbane had 20 shots on goal, but only five on target. Now granted, Taggart had one goal disallowed due to the VAR (and I promised I wouldn’t talk more about the VAR after my opening rant, but gee, the VAR sure makes that difficult), so to come back almost immediately to score a great strike bodes well for the season. But when you’re managing 20 attempts on goal, and only coming away with the single goal, as even Germany will attest in their recent debacle of a World Cup defence, such profligacy will soon come back to haunt you. Here’s hoping that Taggart’s confidence will be on the rise from his opening home strike, with plenty more to come. Fair play to the FFA. I will have no issue bagging them about the VAR, poor scheduling, poor advertising, poor officialdom, and a board that is generally only missing the Benny Hill theme music when vision is shown of them. But credit given when it is due, and scheduling Tony Popovic’s Perth Glory up against his old club Western Sydney Wanderers for round 1 was a nice touch. Now, yes, granted, it would have been perfect had that match taken place in Sydney, but given that the season is designed as a 27-round beast, and not just 1 round, plus I am not entirely sure what is happening with the Wanderers’ home ground, having Poppa face his old team first up with Perth was a nice touch. Whether that was thought out or even intentional is not really clear, but certainly it was a great way for the old and the new to interact with one another as the new season took flight. Of course, sentiment is all well and good, and over the next 26 rounds, Poppa will have little time to reflect on such thoughts of a bygone era. But upon his return to home soil after a disappointing foreign adventure, he would have appreciated the familiar sight of the red and black before him.